Trumpet and Universalist Magazine. April 11, 1835. Br. Whittemore - I have arrived home after an absence of ten weeks , during which i traveled above 800 miles. I left home on the 4th of October, on account of the poor state of my health, being afflicted with intermittent fever, and proceeded by short stages toward the Mountainous parts of the State. On the 12th i preached for the first time after my sickness, in Greenville District; and at the meeting of the Convention in Anderson District on the 17th, my health was so much improved that i performed the part of the services which were assigned to me, without any apparent injury. There I enjoyed the satisfaction of participating in the consecration of the house of worship erected by the spirited exertions in that place in the past year, and had the pleasure of welcoming one brother to the cause of the ministry, and sixteen to membership in the society. it was truly one of the most joyous occasions i have every witnessed. From the Convention I proceed to Georgia, preaching in Oglethorpe, Walton, Henry, and Pike counties on my way to the dedication of the First Universalist meeting house in the State of Georgia, situated in Harris County. At that place i had expected to meet our worthy brethren Andrews and Atkins from Alabama, but being disappointed, the whole of the services devolved on me. Having fulfilled this appointment of 3 days in succession, and preached again on the following Sunday, I proceed to Montgomery Alabama, where Br. Atkins was ordained on the 16th of November. With Br. Andrews and family, I had the pleasure of becoming acquainted at the time of their visit to South Carolina, the past summer, and it was truly refreshing to meet them again after traveling so far among total strangers. By his zeal and perseverance, Br. Andrews, has given our cause a powerful impulse in that section of Alabama, and nearly silenced that overbearing opposition which the Partialist clergy generally exhibited on his arrival. His labor and exertions to establish the SOUTHERN EVANGELIST are truly laudable, but I fear that his support is not equal to his necessities. With Br. Atkins I had no acquaintance until this visit. He also is a brother with whom I am much pleased. Added to a good education and as strong mind, he posses a good practical knowledge of our doctrine, and an unspotted reputation. Before he was expelled from the Methodist church, of which he was a worthy class leader, the church in that place numbered 66 members; it has not now more than 15. Then the meeting House, which stands on his land, which would not hold near all who assembled therefor worship; now is never filled on any ordinary occasion; and these changes are traced without difficulty to the arbitrary proceedings against him, and the influence of his opinions on others. The charge by which he was condemned by his Judges (the church not being permitted to be present) was holding and advocating heretical and unscriptural doctrines. he admitted that he held and was ready to defend the doctrines alluded to, but denied that they were either heretical or unscriptual. They, however, decided that they were, and proceeded to accordingly to expel him from their church. Br. Atkins preaches in various places in Alabama , but does not devote his whole time to the ministry. and adorned with a beautiful chandelier; and it was expected that it would soon be supplied with a bell and organ,) and two at Mount Olympus, the Universalist Meeting House in the fork of the Coosa and Tallapoosa Rivers. I returned to Georgia, and thence home. I preached twice in Talbot, and twice in Jones Counties; in the former of which i could not learn that any of our faith had ever before preached. my first discourse there was on the day of the TOTAL eclipse of the sun, and though it was nearly half obscured before the close of my services, yet so fixed was the attention of my audience, that scarcely one showed any sign of impatience. This I regarded as somewhat extraordinary, considering the seldom occurrence of such a phenomenon. Some of the preaching stations mentioned in Georgia had regular services, just not a meeting house. The Harris county meeting house is 24 by 34 feet, on the road from Columbus to LaGrange. **** added - This would be the Mulberry Grove Church. Im not sure if it made it up to the Civil War, or ended a few years before. 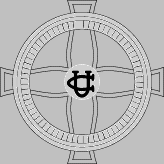 - McMorris and Hubbard were ordained there, part of the Chattahoochee Association. ***** These three meeting houses would be all the non-union houses for Georgia and Alabama, all in land that just opened for settlement slightly over a decade before. The migration from SC to Alabama and Mississippi was starting to heat up about this time, leading to the decline of the congregations in SC. taken from "The Southern Evangelist"
Brother Andrews: As it relates to my tour in this vicinity, I will, with cheerfulness acquiesce with your proposals; but taking into consideration the size of your paper, you will excuse my brevity. on Saturday, the 14th, after making an appointment for the following Sunday, Mr. Green accompanied me to this place, a distance of eight miles, where I had the extreme pleasure of meeting some few friends, and in the evening returned to a Mr. Jones, an elderly and very worthy man, who has recently embraced the faith of Abraham, and left that of Methodism in the back ground. On Sunday, I repaired to the Meeting House, built of longs, in the pine woods, where I found a very respectable number of persons assembled, though it was a very rainy day, and withal cold. i addressed them from the subject, "God is Love", after reading to them the chapter in which it is found, and some really thought, as I have since been told by them, that I had an Universalist Bible,and they were not satisfied until they found it in their own. The people paid strict attention, and not a few were evidentially surprised to find that "God is Love" and that his JUSTICE would be executed, the sinner punished, and all be holy and happy. This day, Sunday, the first of March, I preached under the broad canopy of heaven, to a numerous and attentive audience, surrounded by three or four Methodist preachers, who I previously understood, were to reply, but from some cause, they did not do it. Next Sabbath, the Lord will, I shall preach at Monroeville. Belville was founded around 1818, by the Brothers Bell. Conecuh County was formed in 1818; previously it was Indian territory. Brother Andrews was Rev. L.F.W. Andrews, the editor then of the Southern Evangelist. Brother Henry Franklin Sterns (also Stearns) was born in Province of Ontario in 1805 ordained in September 1833 in Vermont. by July to September 1834, he was settled in New Hampshire. While histories of Conecuh county state that he was in Alabama in 1830 teaching, Universalist publications suggest that he moved sometime between September of 1834 and February 1835. He began to practice law around 1835. In December of 1835, he replaced Rev. Andrews as the minister of the Universalist Church in Montgomery Alabama. Around 1837 he became a Judge in Conecuh County. In 1856 he went to Texas on business, returning, he did not make it home, dying in Claiborn Alabama in 1857. John Green born in SC, moved to Georgia as a child, became a lawyer and practiced in Burnt Corn, as well as being the first teacher in the county. i don't claim that Mike Seeger was a Universalist - I dont have a clue as to his religious views. Although I do know that his half brother is an Unitarian Universalist. But his career in music did touch one of the joys of the south - the True Vine music of the pre-war south. Seeger was the most popular and I believe the original revialist of the old time music tradition. He recorded with and re-discovered dozens of old-time musicians. He named bluegrass music. The rural folks of the south loved old time country music - as did the Universalists of the south. And frankly, one of the appeals of Universalists was that it wasn't a sin to play the fiddle. The Baptist said you would go to hell if you danced, the Universalists would let the dance be right there, fiddles and banjo going. As I read about southern Universalists, I sometimes hear about fiddles - one of the Rev Strains won a fiddle contest! About Clayton McMichen, who's granddaddy helped him learn to play (McMichen grew up in an Universalist household). i knew bluegrass, but in 1972, with Seeger's Second Annual Farewell Reunion LP, I begin to know old time. From that I discovered that my opera loving father was able to ID Uncle Dave Macon by his voice. I picked this song, because stuff like this confuses folks - its corny. yep, it sure is, ain't that nice? RIP Mike, thanks for helping me rediscover my own roots. the below is a list of material related to southern Universalism that appeared in the Troy NY Universalist paper, The Gospel Anchor in 1832. This listing is both a way to extract information as we wait for some future where it can be reconstructed into articles - and as a way to look at one view of Southern Universalism from northern New York. Ministers are mentioned by their known, to me, connection with the southeast. I may have left out a Rev Newell, but think that he is different than the one in Charleston SC. Rev I D. Williamson is mentioned frequently, as he was a co-editor ("Junior Editor" it says in an article). ; he later served briefly in Mobile Alabama, and did a preaching tour of the south. August 11, 1832 Rev L. F. W. Andrews is announcing the publication of "The Gospel Witness" a 4 page half royal weekly to be published in New Haven, Connecticut. August 18, 1832 Junior editor ID Williamson "W." reports that he has been sick, now nearly recovered. August 25, 1832 ID Williamson did circuit travels up to Brattleboro, etc. Currently Universalists have 14 periodicals, issuing weekly 20,000 copies. October 27, 1832 -circular letter done at the behalf of the General Convention, state conventions were recommended. There were 6 State Conventions at the time: New York, Maine, South Carolina, Connecticut, Pennsylvania, and Ohio. A South Carolina representive was able to attend the General Convention at Concord NH. LFW Andrews reports that he will help edit the Herald of Freedom, and thus will not be publishing The Gospel Witness. The Herald of Freedom was published by P.T. Barnum. December 15, 1832 taken from the "Christian Messenger", LFW Andrew's views on ministerial qualifications. He objects to official qualifications. January 5, 1833 Rev T. Fisk gave the oration at the release of P.T.Barnum from jail - he had been convicted of saying that Rev Seth Seelye defrauded an orphan of $17. Barnum was not allowed to speak in court. There were over 1500 attending the oration. Upon Barnum's way home, the music played was "Home Sweet Home". January 12, 1833 in an article take from "The Magazine and Advocate", there is an article dated November 7, Newberry SC by A.F. ((Allen Fuller)) entitled Universalism Progressing Toward the South. It was a response to an article in the "Washington (Ga) Observer". Fuller states that "Universalism in not merely as he says, looking towards the South, it has already arrived in all parts of the South., and it's there exerting its influence. Not only is its' Trumpet sounds in North Carolina, as he observes, but it is heard in South Carolina and Georgia and Alabama, where it is accompanied by its Messenger, and its Inquirer is also there found seeking for the right way, and its Magazine well stored with truth, and its Advocate pleading its cause. he seems to regret that we have obtained a church in Baltimore, and that another is being erected in Richmond Va, and we would inform him that there are three meeting houses owned exclusively by Universalists as far south as South Carolina and that another is in progress there. That there are five regularly organized societies or churches in that state, and two preachers of that doctrine: and we hope to have another faithful laborer in this part of the Lords vineyards...."
((the words in capitals are of Universalist newspapers, Trumpet, Messenger, Magazine, Inquirer, and Advocate)). From the Trumpet: Why do the Universalists have no Doctors of Divinity? Brother Fisk answers that "Because our divinity is never sick." January 26, 1833 an excerpt from a funeral service by T. Fisk, dealing with the death of a child. February 2 and 9, 1833 - An account of the hearing of Dr. Thomas Cooper, President of the College of South Carolina (now the University of South Carolina) for heresy. Cooper was an associate of Joseph Priestly. He was acquitted. April 6, 1833 - "New Publication - Brother Fisk of New Haven, Conn who furnishes newspapers with as much apparent ease as other editors do paragraphs, has established another paper, entitled the "Herald of Universal Salvation". The paper is to be published semi-monthly. "